We put together this check engine light page as a helpful resource for car problems related to this troublesome light. You can scroll to the bottom for code specific articles, or read your way down there and learn more about the subject. If your ride has some age on it, discover how often computers fail on cars 10 years or older. First, a brief rundown of why they install these warning lamps. And how it’s turned on by the on-board computer. The light will either say check engine or on some models service engine soon. We call it a federally mandated emission system malfunction warning device. It’s directly related to the clean air act and reducing pollution in our world. It comes on to notify drivers that they might be polluting the atmosphere. States like California take the clean air act real serious. Vehicles registered there must pass a smog test. This samples the exhaust stream and tests the check engine light verifying no present or pending set codes. Other states like Florida have no testing. What makes the warning light come on in the first place? As a certified auto mechanic with a state emission testing endorsement this is a question I hear often. Unfortunately, the light can pop on for thousands of reasons. To sum it up for you, the vehicle’s computer is monitoring engine data across hundreds of different channels and sensors, both input and output. The computer compares this incoming and outgoing data to a parameter with a high and low specification. If the incoming data on a specific channel remains above or below the parameter in the computer, they turn on the warning lamp. When this happens a code sets in memory that relates to the failure. On vehicles built after 1996 the computer system has been standardized and is called OBD II (On Board Diagnostics). When we set a diagnostic code the service engine light will remain on until the code is cleared. Even if the malfunction was an intermittent problem the light stays on. Obviously I can’t fit on this page all of the reasons the failure indicator may come on. Just a little further down on this page, I will continue to post articles about this subject that may help you in this diagnostic situation. I can tell you the problem could be as simple as a lack of automobile maintenance or even an intermittent glitch. The latter may not need attention until the failure worsens. It could also go in the other direction, where there’s a serious problem such as a vacuum leak that could cause engine damage, if not diagnosed and repaired properly. So my advice to you is to pursue the matter and find out why it’s illuminated. Try to fix it yourself or take it into a shop qualified to repair it. 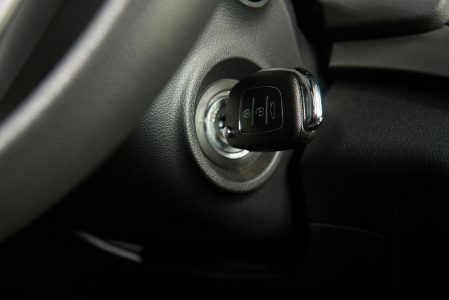 Bypassing or disconnecting check engine lights is against the federal emissions law. Read some articles below that can help with diagnosis and repair. The first one explains how to pull and clear codes. The second article is about common code numbers and definitions. Bookmark or share this page with a friend. Come back to read the updated articles. Learn more about repairing individual codes and common car engine light problems. If you don’t want to read through a bunch of automotive articles for an answer, you can learn about the reliable car repair help service I’m a part of. Have you seen the new crop of entry level scan tools with database connection to common solutions? Services like “fix assist” and “Code Connects” are being used to push product, but do they add any value? Here are my thoughts on using a scan tool with built in repair solutions. This article discusses the two possible ways to clear the codes from your computer. Find out more about the mechanic recommended check engine light reset procedure. This next link will lead you to a list and descriptions of the most commonly found OBD II failure codes. Also I talk about the check engine light codes I have seen the most of recently. This next page has become one of my most popular and viewed pages on this auto repair website. I own 3 auto scan tools and this next link is a full report on them. See my auto scanner reviews. Some people would like to use a phone or tablet for diagnostics. Here is how to use a Bluetooth android car scanner. How about the fuel cap code, yet another common diagnostic trouble code you might come across. This next page talks about the PO400 series of codes and specifically the P0440. Yes the gas cap code. MAF sensors on older cars can cause all kinds of problems. But did you know that you can clean them? Take a look at this article before you replace that old mass airflow sensor. 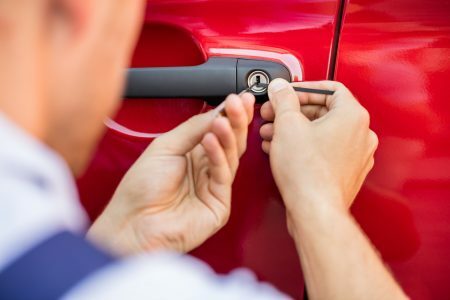 If your on the fence about buying an auto scanner this article discusses what to do with the information this tool provides and also an overview of scan tool operation. Here is another article that reviews an actual repair of a specific code. See how to diagnose and repair a P0131 O2 code on any car. Believe it or not the 5 digit code that the computer stores has a deep meaning. This next article explains what an enhanced code is and exactly what each digit stands for in diagnostic trouble codes. This is where to start when it comes to a logical path of diagnosis. I provide the two simple first steps that might lead you right to the malfunction and end your engine light diagnosis. Map sensor codes may not be as common as some others listed on this page. But certain vehicles are prone to map sensor problems. Misfire codes can cause more damage to cars then other failures. Do not drive around with a P0300 series code problem. I use a Nissan check engine light repair example to help you diagnose engine misfire codes. My shop bought a laptop scan tool. I took part in deciding which one to get and then installed it. Next I scanned the first vehicle. See what I think about the elm scan 5 laptop automotive scanners. I still prefer to hold a tool in my hands. The hand held scanner gets better every year. here is a review of one that has lots of features for around $75. See the 3040 line of car code scanners. Exhaust gas codes remain a wide spread problem on many different models. I discuss some of the most common causes of this code to set and supply information on how to repair EGR valve problems. Would you prefer to watch a 3 minute video that covers the basics about this subject. This next link takes you to my check engine light video. 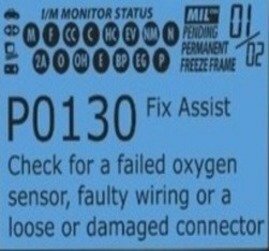 One of the most often misdiagnosed codes on the planet is for oxygen sensors. See my example of how setting o2 sensor codes can be a cheap repair if addressed quickly. Many do it yourself auto repair mechanics ask me how to reset the maintenance reminder light after they perform an oil change. I put together a page that provides instructions for 3 popular makes. Learn the maintenance light reset procedure. It is time for me to buy another scan tool that can also read ABS codes. See a review of the unit I’m interested in and use. See the things I did not like about this auto scanner. You can find out more about this auto repair website and the Certified mechanic that built it on the homepage. This next link takes you to the page about why I dispense car repair help.